Thanks to their modern and elegant designs, Bulgari sunglasses have become one of the most relevant luxury brands in the latest years. 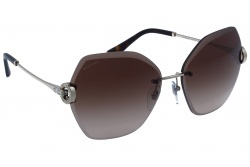 Bulgari shows an exquisite Italian style, made with high quality materials; acetate and metal. The brand has a great reputation for its quality and innovation in the fashion world. 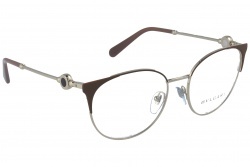 We can differentiate it from the rest thanks to the use of semi-precious stones in their frames. 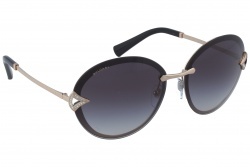 Bulgari glasses are a symbol of good taste and it is very easy to combine them with clothes. You will always be trendy using this brand’s glasses. 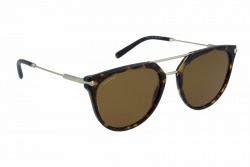 Furthermore, they are manufactured with the highest quality materials and lenses. Inside the catalogue we can find a wide variety of products for women. From vintage designs to modern ones that offer the best comfort and quality. Also, its variety also allows to choose among a lot of colours. Green, red or white stand out from the rest. If you are looking for a more classic look we can also find black and brown models. 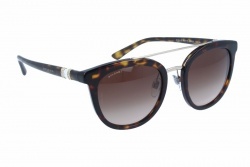 In Optical H you can find the best Bulgari models. 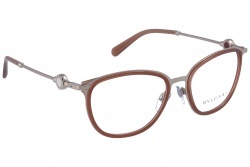 If you are looking for quality glasses at best price in our online store you can choose the ones that adapt best to your style. Bulgari is one of the most prestigious Italian brands. It was born in 1884 in Rome, but is present all over the world. It started with jewellery, but due to its growing they expanded to the manufacturing of perfumes, cosmetics, glasses, etc. Nowadays, Bulgari has more than 150 stores all over the world.